Ashok Leyland dealership is one promising franchise that has proven to give good returns. For those of you who want to know about starting a franchise with Ashok Leyland, all the details are provided below. Get to know about the investment costs, land requirements and other details now. In the year of 2012-13, Ashok Leyland has made massive turnover of 2.3 billion US dollars. The buses of Ashok Leyland carry around 70 million travellers all over the world. It is also the largest supplier of vehicles to the Indian Army. They have in the past few years ventured with a Japanese Nissan Motor company for business in the category of light commercial vehicles and John Deere from USA for configuring and equipment. The Hinduja Group has a reputation that evokes trust in people and leads the business well. The investment required for Ashok Leyland franchise will be from 25 to 30 lakhs. It is important that you have the same amount of money reserved to invest on service infrastructure to comply with the company standards. 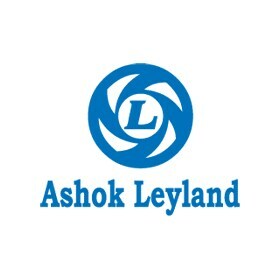 The land requirement of Ashok Leyland franchise is 12000 square feet that can comprise 4 bay areas. Besides all these requirements there are also some standard requirements that make it necessary for your franchise to develop good customer relationships with all clients to enhance the business. Ashok Leyland dealership franchises are also available but the investment cost is much higher from the cost of opening the Ashok Leyland service centre. To become a partner of the company you also need to fulfil a land area requirement of 2o to 50 thousand square feet facing NH or SH. It is also expected of you to have great marketing and servicing abilities. You must also be able to provide infrastructure according to the requirements of the company. The application for Ashok Leyland is available on the official website and you can download the form in PDF format. The website is http://www.ashokleyland.com/sites/default/files/ALASC for the service centre form. For the dealership form check the link http://www.ashokleyland.com/sites/default/files/DEALER. You will have to fill some of you present business details, personal details, contact information as well as the site that you have chosen to set up the franchise. Fill the application form and send it to any of the following address. Odisha, North East (East Zone): Regional Manager – Kolkata, 1, Auckland Palace, Kolkata 700 017. Contact number: 033-22831674 / 22831675 / 22831808. For more queries you can send your email with the questions at dealership@ashokleylend.com.